London, UK: Thursday 21st June 2018 - The British & Irish Boxing Authority (BIBA) today announced that former Boxing Union of Ireland (BUI) National Ireland Super Welterweight Champion and current A Class Referee as the Head of Ring Officials effective immediately. 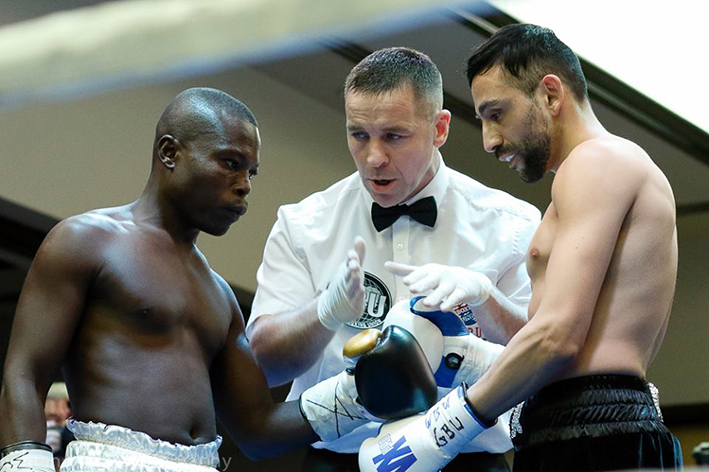 Back in April this year, after refereeing and judging some eighty plus contests, Murtagh received the call to referee four contests in Nigeria, three of which were World Boxing Union (WBU) Championship bouts - Demarcus Corley versus Patrick Lopez for the World Lightweight Crown, Paul Venenzuela Jr versus Aaron Coley for the World Middleweight title and King Davidson versus Ishmael Tetteh for the African Middleweight belt. Murtagh's refereeing skills impressed Nigeria Boxing Board of Control (NBBofC) President Dr. Rafiu Ladipo and Secretary General Remi Aboderin so much so that they have since licensed Murtagh. "I am so pleased to announce that Lee Murtagh has been appointed as the new Head of Ring Officials for the British & Irish Boxing Authority. "Appointing Lee was a no-brainer, undoubtedly he's been one of the best referees, if not the best, in the UK for a while now. "Lee has proved over and over again just how good he is, but I suppose the clincher was his first class performance over in Nigeria, I was there and can say that without doubt his refereeing was faultless. "He had the daunting task of refereeing four big fights in a row, three of them Title fights, in a foreign country, yet his focus never waivered for a second. It was a faultless performance, so no surprise the Nigerian Board wanted him on the books as one of their Officials too." Murtagh's next assignment is just over a week away, when he Referees two Championship contests - Tommy Jacobs versus Bilal Mohammad for the World Boxing Foundation (WBF) International Super Welterweight Crown and Iain Weaver versus Emmanuel Addo for the Professional Boxing Council (PBC) International Lightweight Championship at the Charter Hall in Colchester on Saturday 30th June 2018.